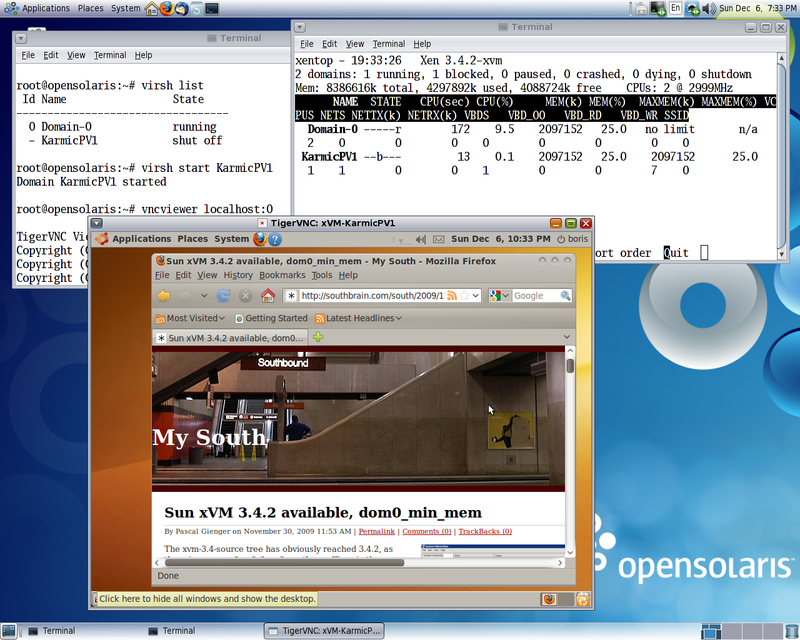 Set up Sun xVM 3.4.2 on top of opensolaris 1002-128a via binary packages been built by Pascal Gienger at Index of /software/xvm/3.4.2. Been performing testing bellow my major concern was ability Sun xVM 3.4.2 to handle PV DomUs with boot file systems of ext4fs type. 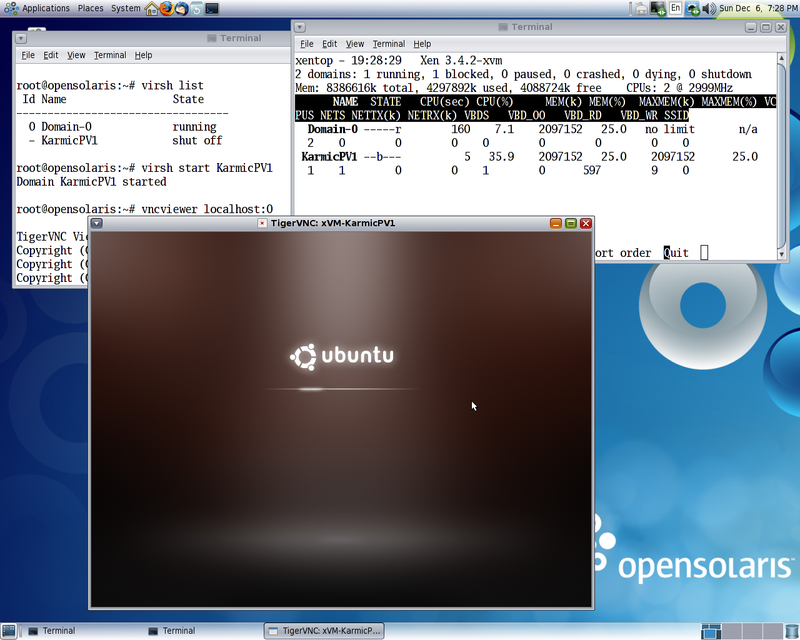 Actually, two guests have been tested : F12 and Ubuntu Karmic Server, in both cases boot partition has been converted to ext3fs to create DomUs manageable via virsh ( virt-manager). This entry was posted on Monday, December 7th, 2009 at 4:30 pm and is filed under Uncategorized. You can follow any responses to this entry through the RSS 2.0 feed. You can leave a response, or trackback from your own site. and “/” is mounted on /dev/xvda2. It’s just a typo in my blog. Could you post “df -h” ? Your mode of explaining everything in this article is really fastidious, every one be able to effortlessly understand it, Thanks a lot.